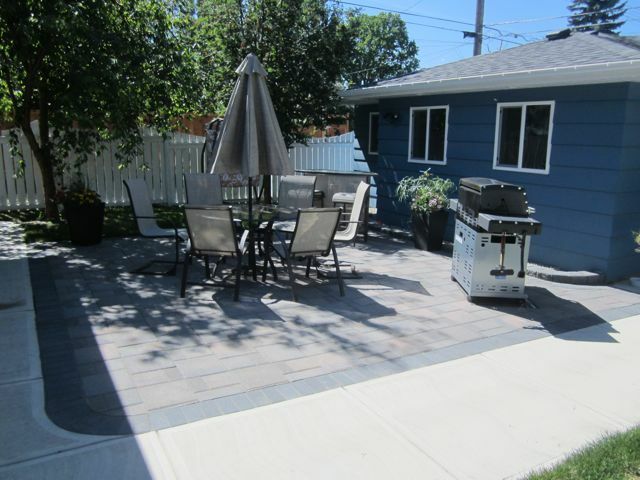 Our paving stone patios are clean, classy, functional, timeless, and aesthetic! 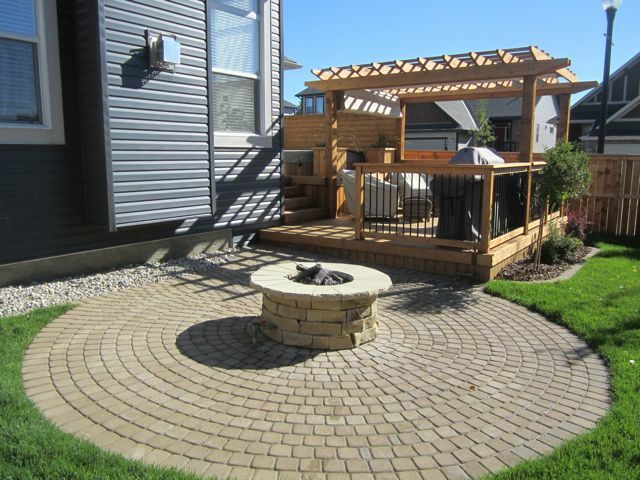 You’ll love the longevity of an Assiniboine patio because we use the proper construction techniques for the foundation. Like any great structure, if it’s built on a solid base it is going to pass the test of time. 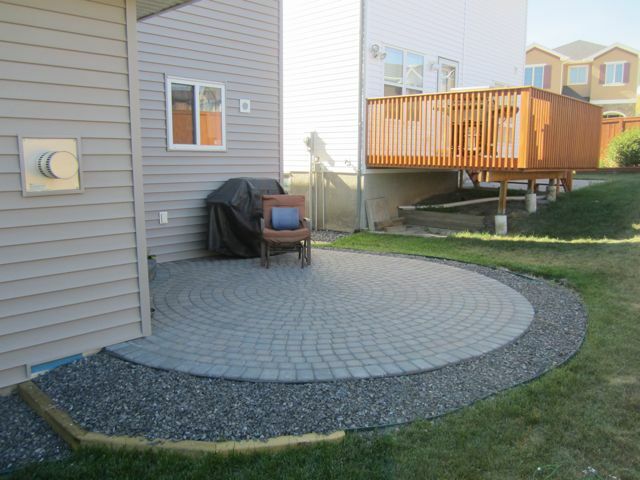 You can see the mark of a “quality” Assiniboine stone patio in the finishing touches. The right cuts, the right border and the right design choices all contribute to a world-class finished product. 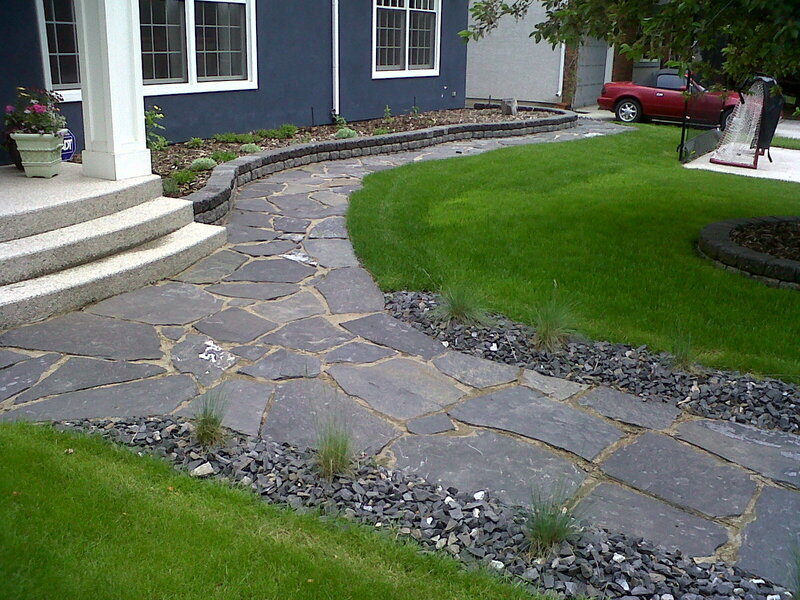 In addition to your standard patio, we can build stone pathways and paving stone driveways. Allowing the same style and feel to continue throughout your property. 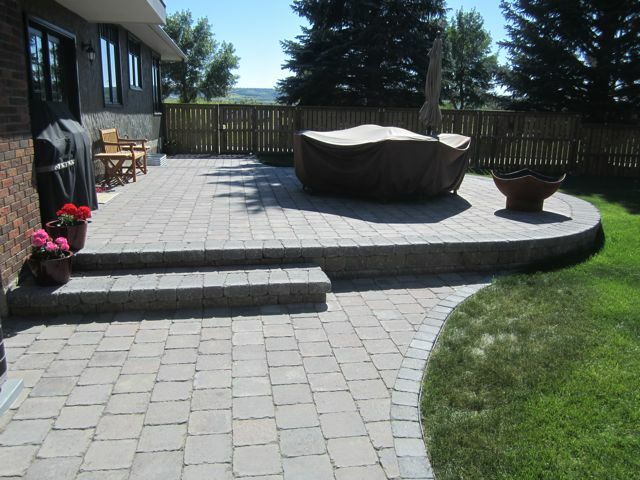 Whether you need a pathway and steps to your front door or a stone walkway around the side of your house, or you want to create the ultimate patio for your outdoor gatherings, Assiniboine is the right choice to get it done. 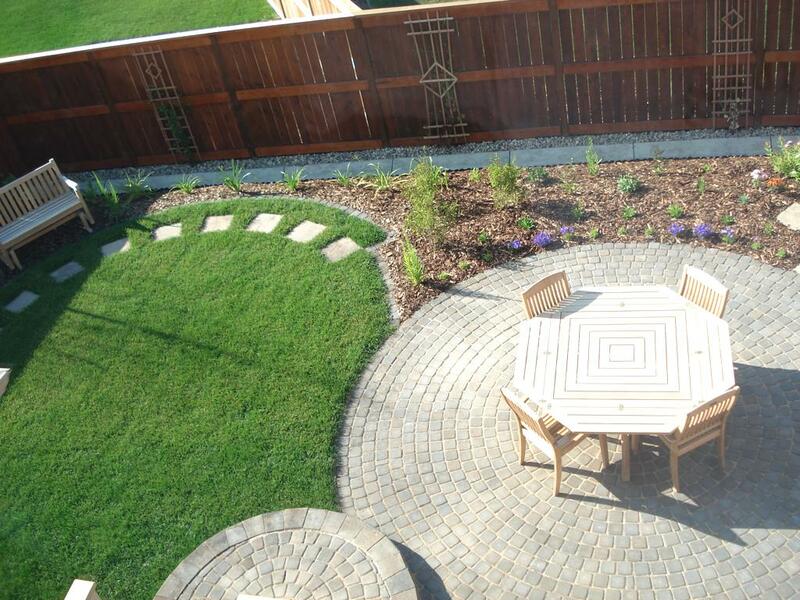 We create and build beautiful extensions of your home that your guests, neighbors, and family will love. 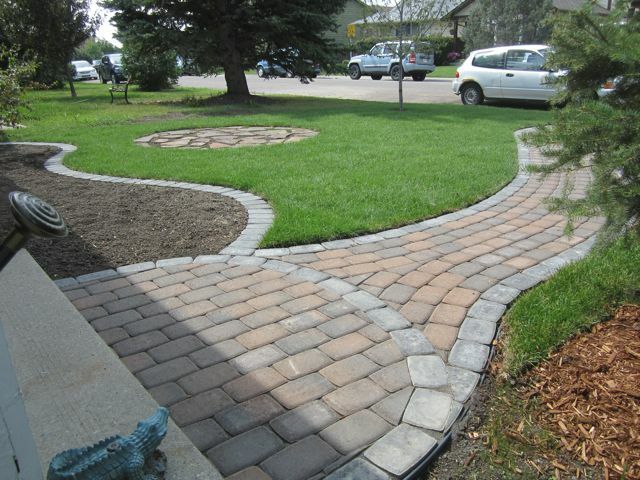 There are two basic types of paver materials: Manufactured or Concrete Blocks, and Natural Stone. 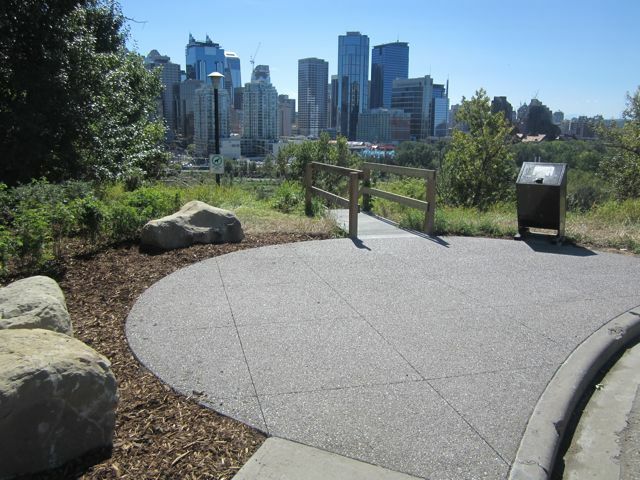 Concrete paving stones are versatile and offer endless design and color options. Natural Stone can be quarried locally and it’s strong, resilient and a great investment. 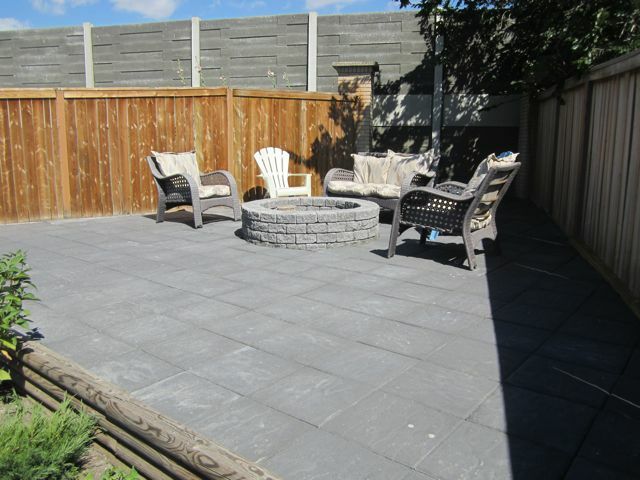 Character - Paving stone patios are first class features that can be personalized to suit your desire. 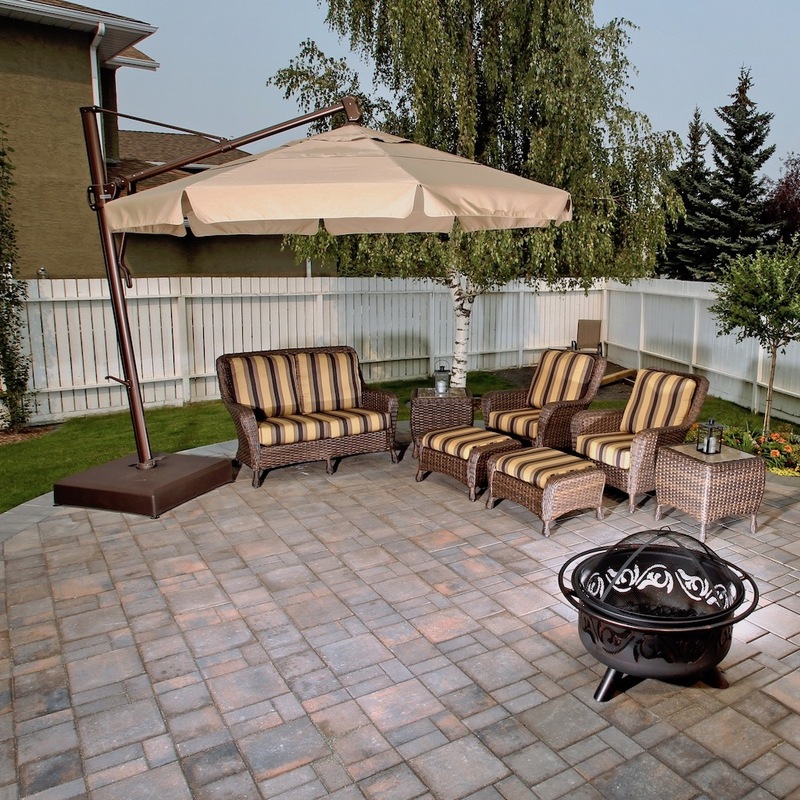 Durability - Unlike stamped concrete, paving stone won’t crack, fade, or get wear patterns. Easily Repaired - Assiniboine patios rarely sink. However, in the unlikely event one does, it allows for adjustments to make it look as good as new. 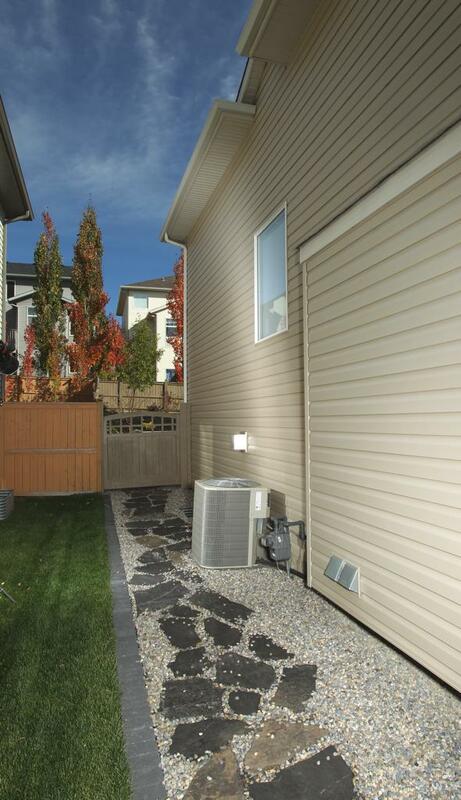 Price - Cheaper than stamped concrete and comparable to regular poured concrete. Maintenance - Sealed with polymer sand, our patios have low water permeability and are resistant to weeds and ants. 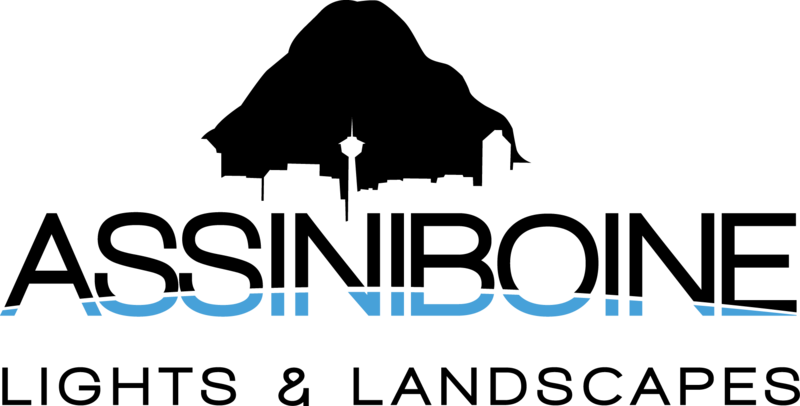 For more information on material choices and to check out some of our trusted supplies, head to the blog. 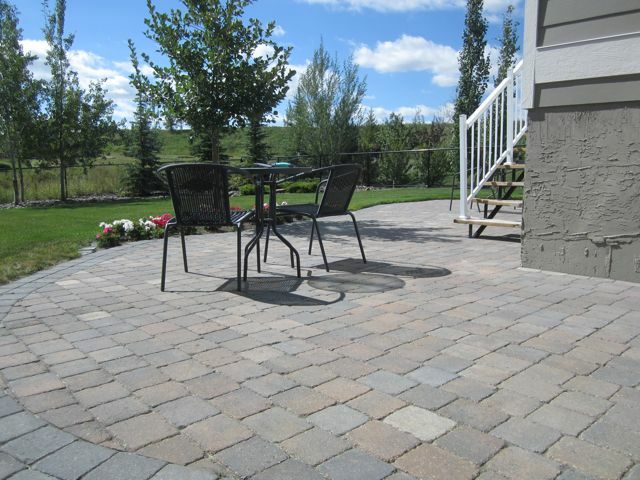 This patio is done with Rocky Mountain pattern Paving Stones in Rustic.